Pick up a Free Copy of Canada HiFi in Store! Want to read some of the latest reviews or learn more about Home theatre? 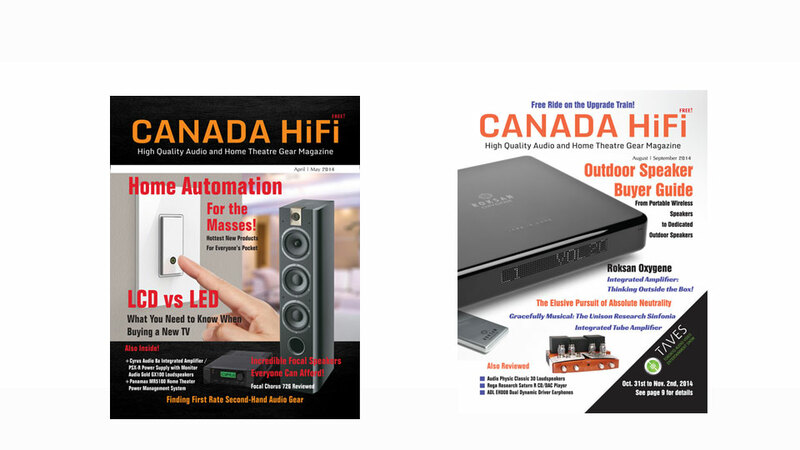 Canada Hi-Fi covers a wide range of topics and tips to help improve your stereo or home theater system. The magazine also features some of the newest products to hit the market so you are always aware of the latest trends in audio and video. Come pick up your copy of Canada Hi-fi here at the Audio Room.